Great job (especially on a difficult onesie). Love the words!! Love it! Where did you get the saying from? Very sweet and so cute love the words it beautiful. Great job, love the words and they are so true. Thanks for sharing with us. Sandra. Love this one and so true. I love this! The one I use has different fonts, but oh the same meaning! This one is so cute too! I hate doing little onesies though...been using a cut off cool whip bowl to hold back the material...works too! Great job on this! Good idea, may have to give that a try! I never heard that before. 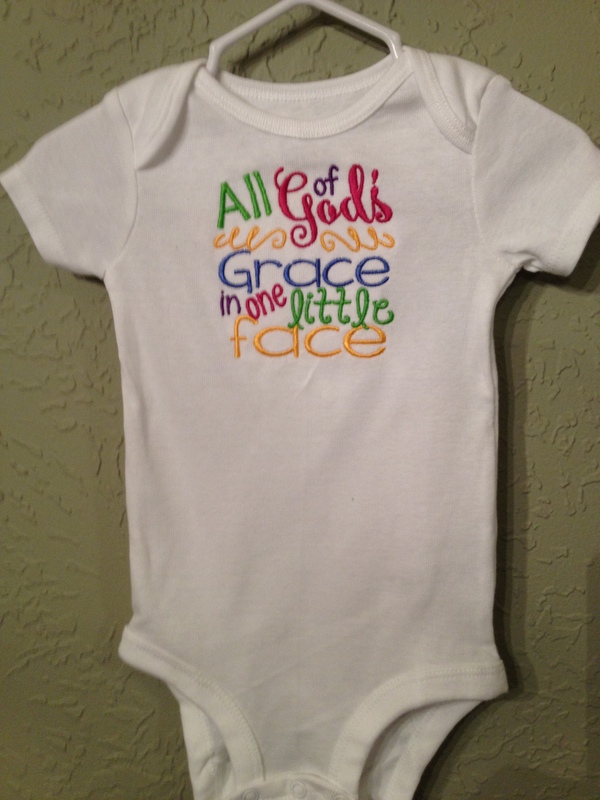 Great saying and wonderful job on the onesie! this is so adorable.. great job. so cute... a wonderful saying for all children.